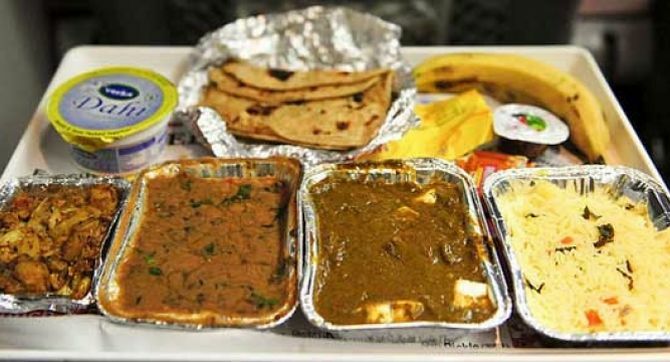 The Indian Railways will follow the aviation sector’s model to ensure quality food is served to passengers. The national transporter is mulling options to discard kitchens on running trains and, instead, shift food preparation to base kitchens run by the railways. The move comes after the Comptroller and Auditor General (CAG) had last month said railway food was unsuitable for human consumption. According to a road map drawn up by Indian Railway Catering and Tourism Corporation (IRCTC), the plan is to rope in multinational players that operate lounges in airports across the world, such as French food services and facilities management company Sodexo and Travel Food Services (TFS). IRCTC might also engage service providers from the hospitality industry to serve food on trains. PricewaterhouseCoopers has been asked to come out with a road map to develop base kitchens and ensure quality service on trains. “We are getting a lot of complaints regarding cartels, cleanliness of kitchens and quality of food supplied on running trains,” said a railway ministry official close to the development. Based on the new policy, the Ministry of Railways is set to hand over catering-related operations to IRCTC. “We want to change the concept of catering on trains. Hence, our target is to rope in players like Sodexo and TFS,” said another official. TFS is one of the largest food-and-beverage operator in the travel segment. It currently has operations in Mumbai, Chennai, Kolkata, Nagpur and Visakhapatnam. Paris-based Sodexo is a global giant with presence in more than 80 countries through nearly 34,000 sites. About 350 trains, including Rajdhani, Shatabdi and Duronto, have pantry cars, and these are mainly managed by contractors engaged by the zonal railways. “We have plans to conduct third-party audits and to monitor the quality of food cooked in the base kitchens on a regular basis. Soon, IRCTC will submit a business plan in this regard,” the railway ministry official added. The new policy suggests handing over operations of base kitchens in Nagpur, the Chhatrapati Shivaji terminus, Mumbai Central and Balharshah from zonal railways to IRCTC. Last month, the CAG had rapped railway catering services. It pointed out that only 16 base kitchens were located on railway premises, while 115 base kitchens were located outside railway premises and were not subjected to quality check. It also stated that recycled contaminated food, including packaged and bottled items past its shelf life, were sold at stations. The auditor highlighted that cleanliness and hygiene were not being maintained by contractors, and bills were not being given for food items served in mobile units on trains.